Here at Monico Movies we are very excited about our movie for June, The Martian. 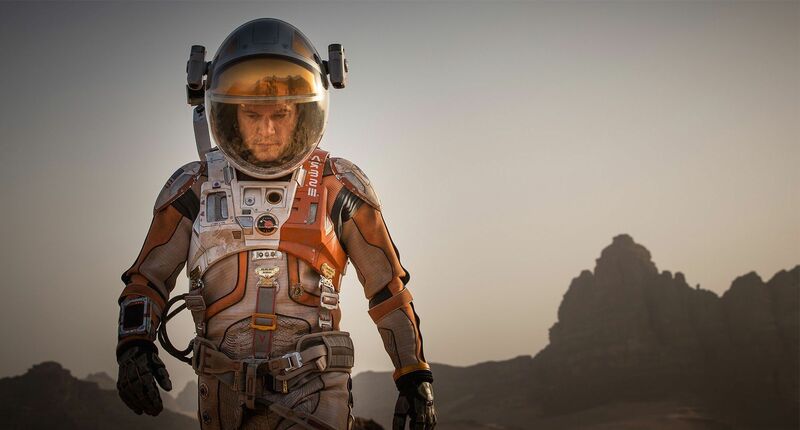 Matt Damon stars as the astronaut Mark Watney stranded on Mars. This is a tale of survival against the odds, a Robinson Crusoe on Mars for the 21st century. A team of astronauts hit by a violent storm have to abort their mission and leave for Earth. During the evacuation one of the crew members, Mark Watney, is hit by a projectile . Thinking he has died due to a rupture in his space suit, the rest of the crew leave him behind. However, Mark has survived and now has to find ingenious ways to remain alive till the next scheduled Mars mission in fours years time. NASA soon learns that he is alive. Will they succeed in bringing him back home? Hi, just collected tickets from the Honey Pot which say Sat June 14th. Assume this is a typo and The Martian is definitely on Sat 11th June?